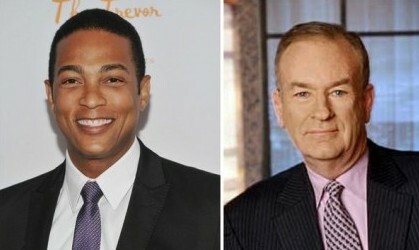 Don Lemon received some support from Fox News’ Bill O’Reilly on the Monday evening edition of the O’Reilly Factor, as flagged by Mediaite. Just 7 hours after the Change.org petition demanding CNN fire Lemon went live, it had over 1375 signatures; and 2 days following, it had over 27,000 signatures; it has since slowed down, but it has over 36,000 signatures in 5 days. Yet Fox’s O’Reilly dedicated a segment with Fox contributors Juan Williams and Laura Ingraham to discuss the backlash Lemon and The View‘s Raven Symone. “Freedom of speech is under attack,” O’Reilly concluded.